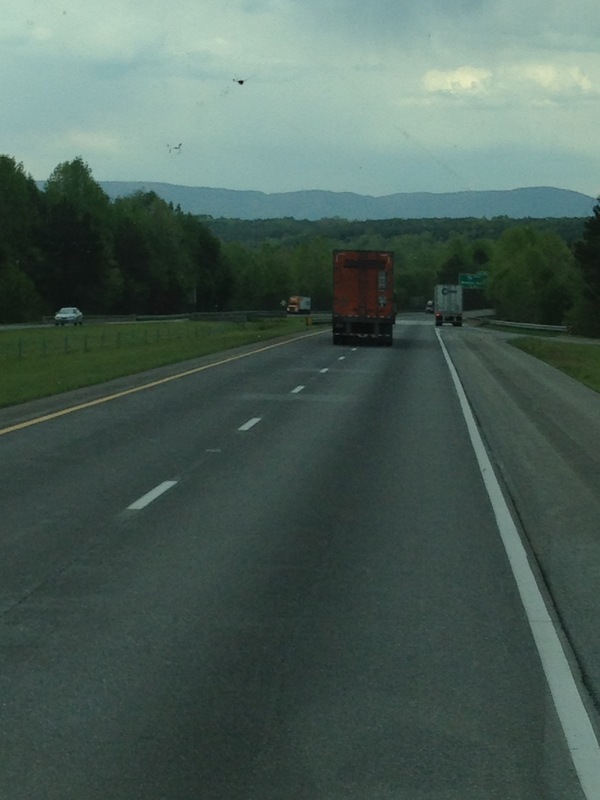 Now it’s off to Virginia! 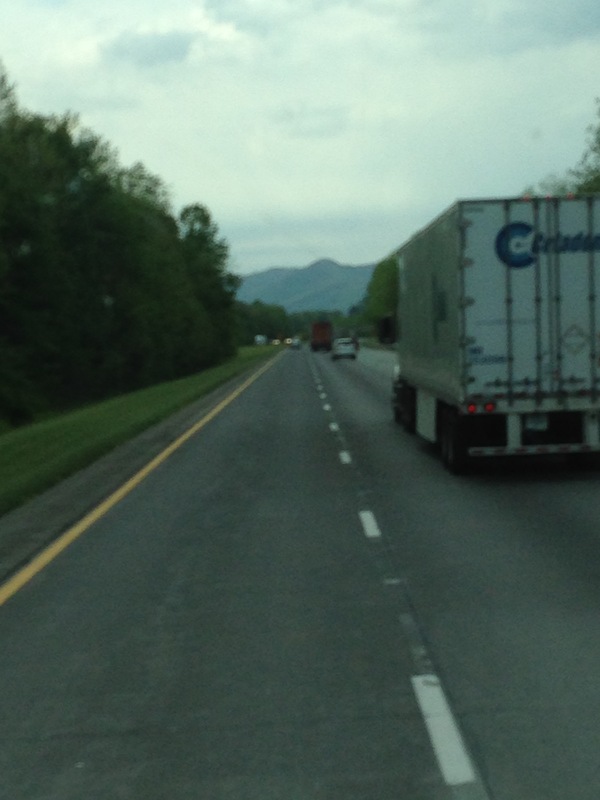 What a beautiful drive through the mountains. Being a Florida girl for over 30 years now the mountains are breathtaking! 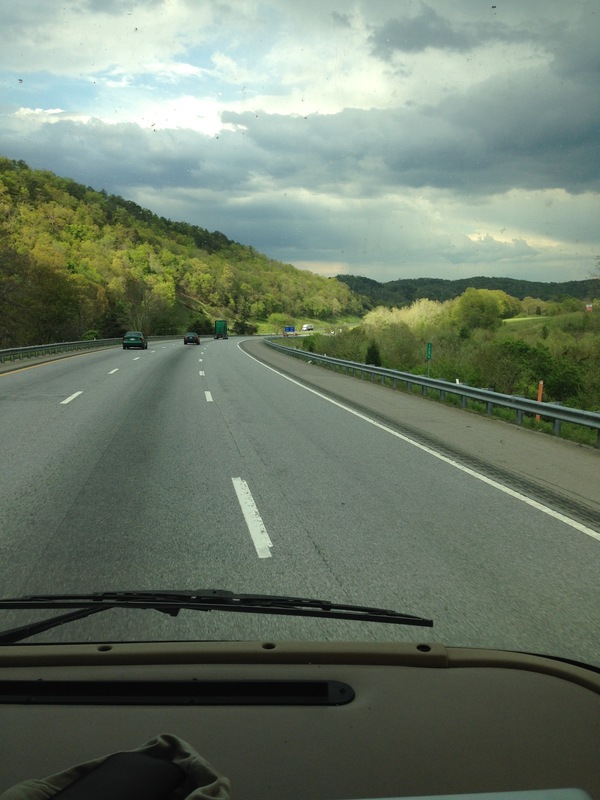 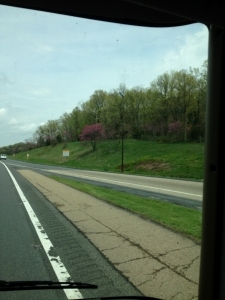 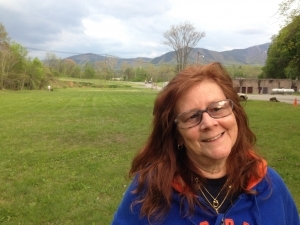 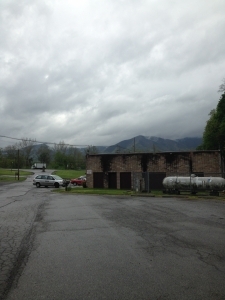 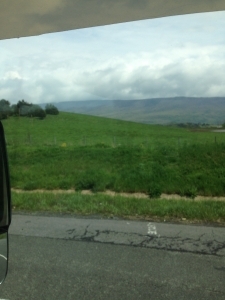 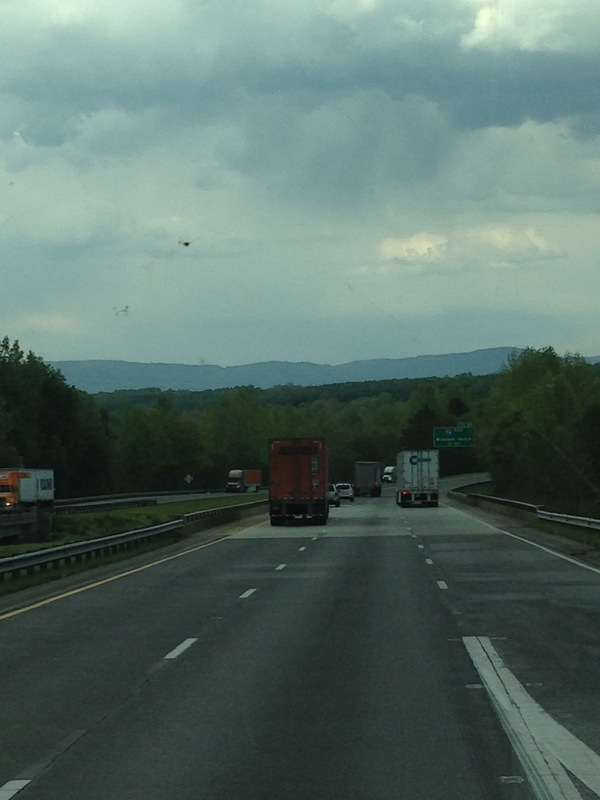 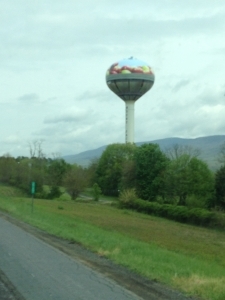 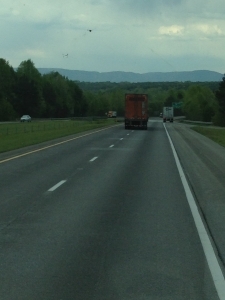 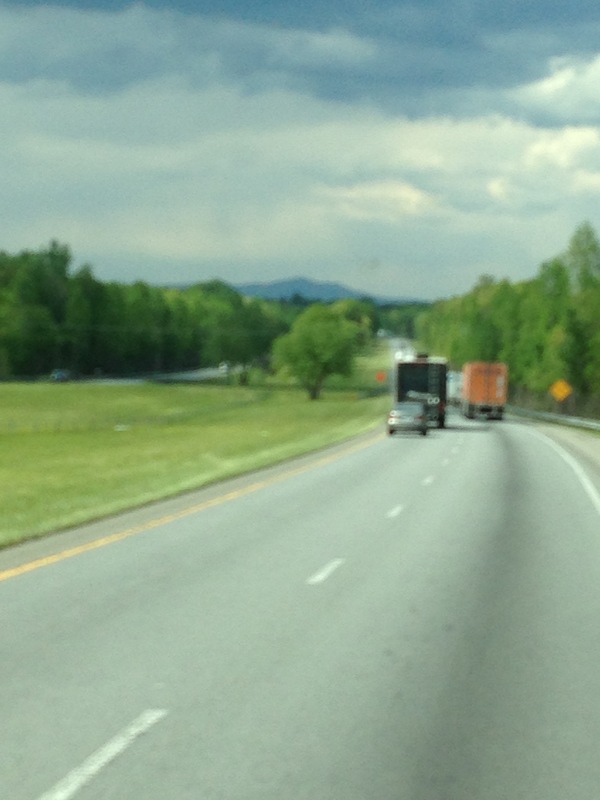 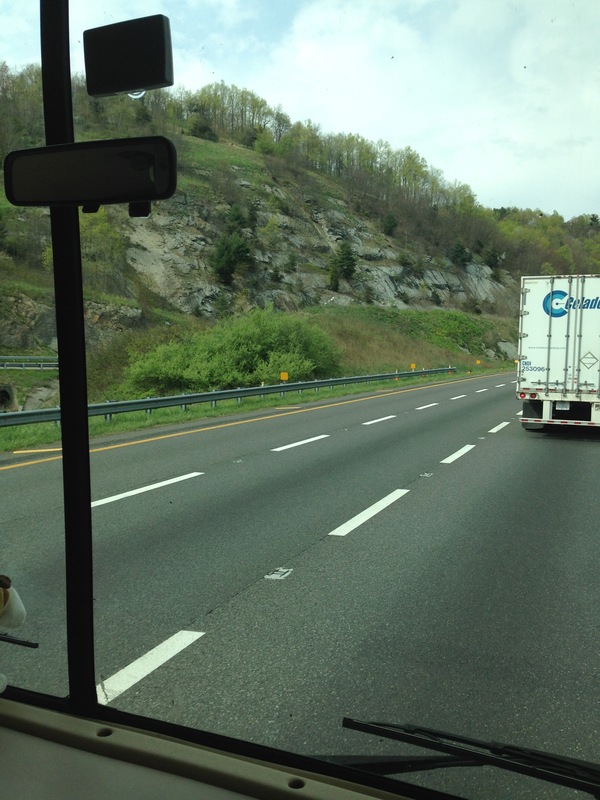 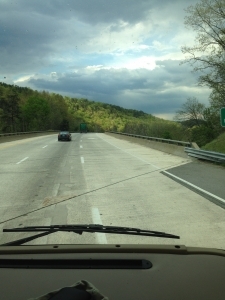 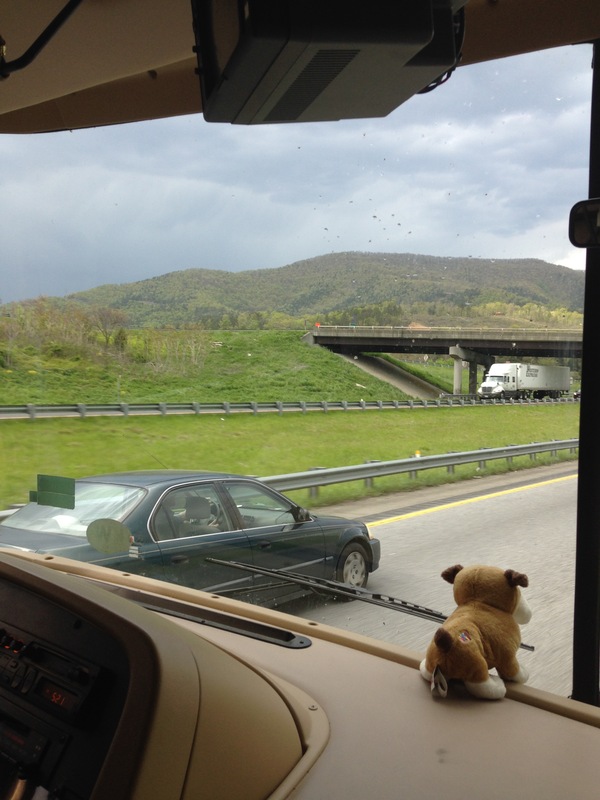 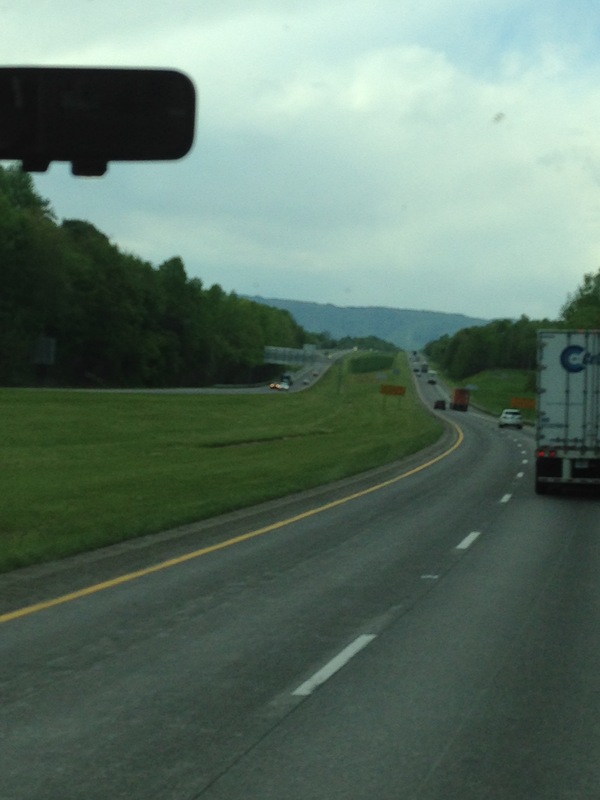 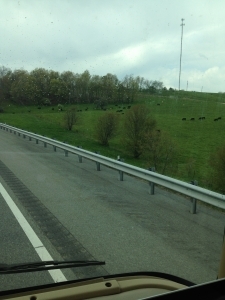 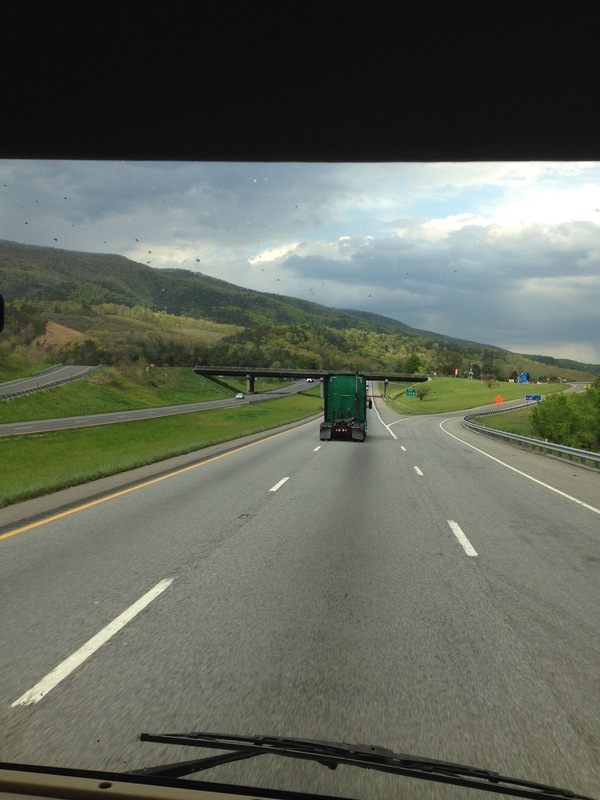 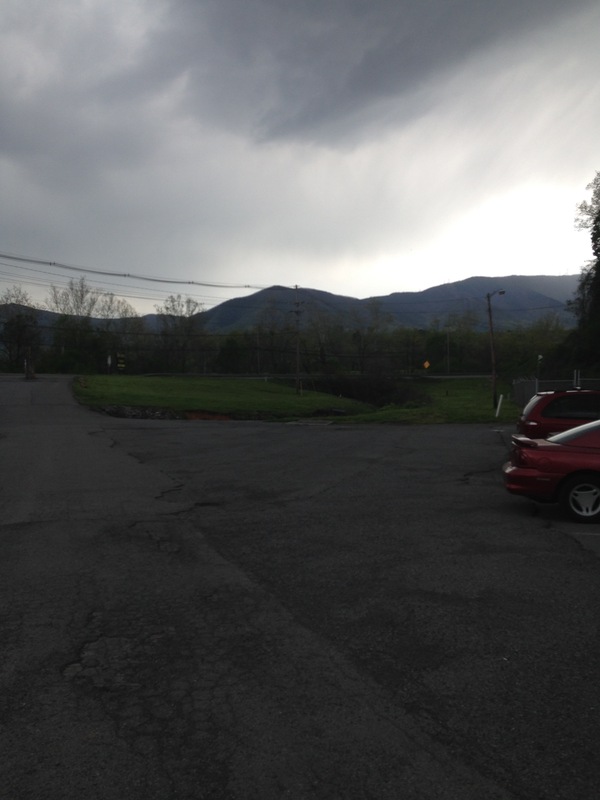 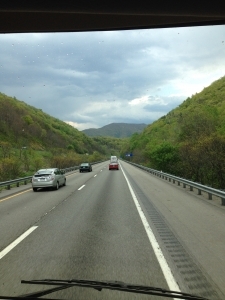 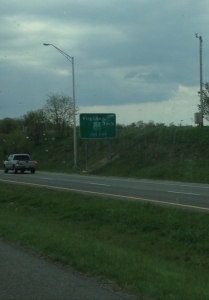 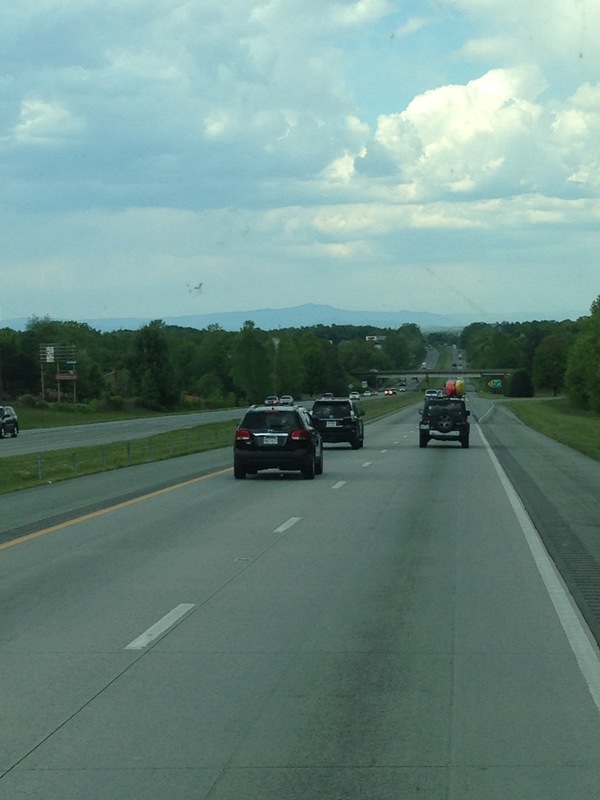 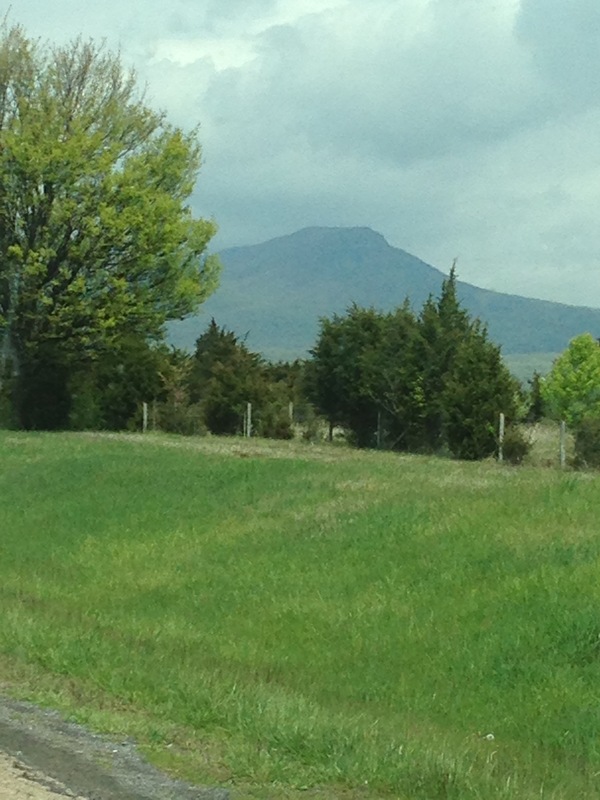 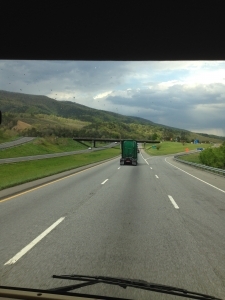 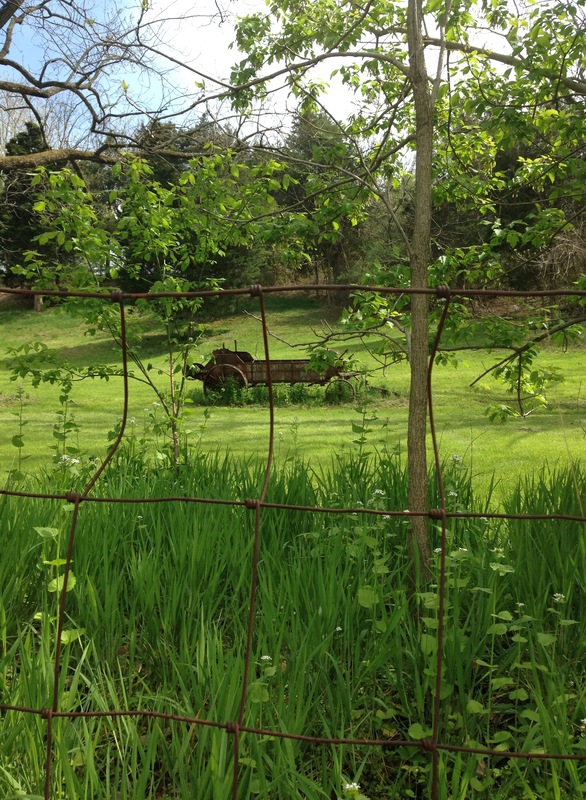 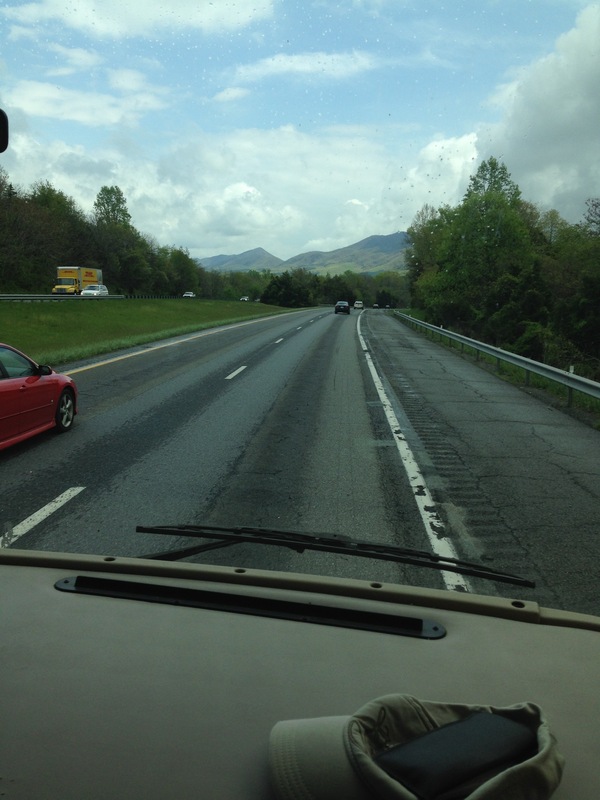 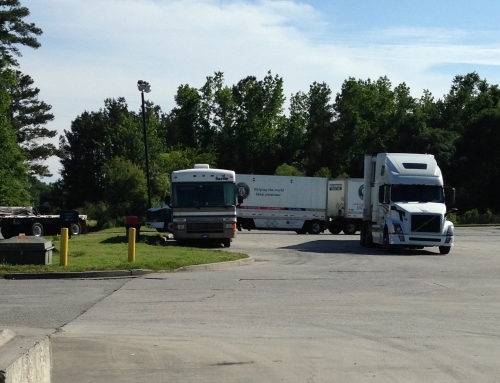 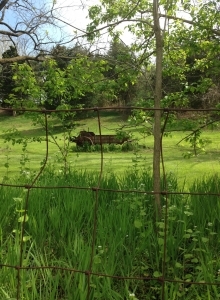 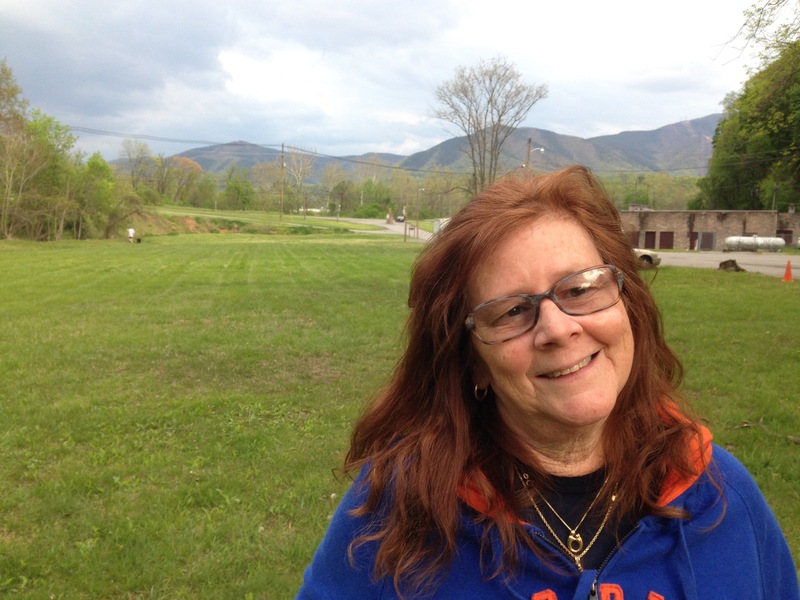 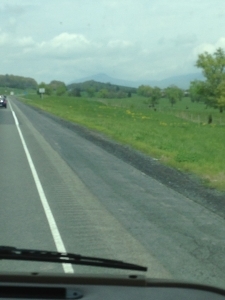 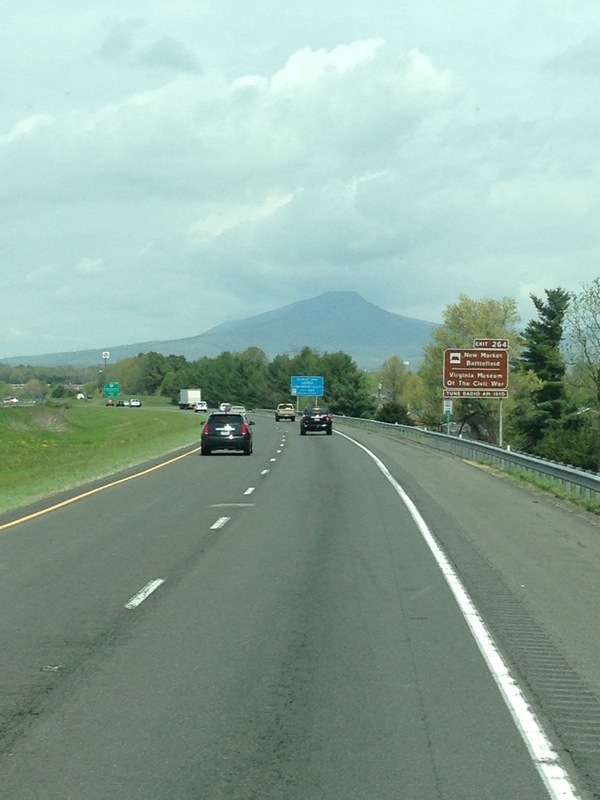 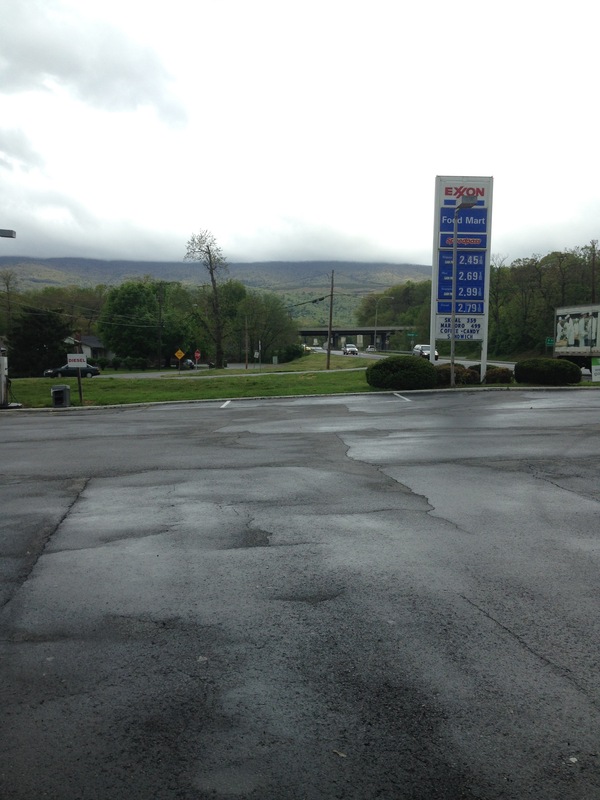 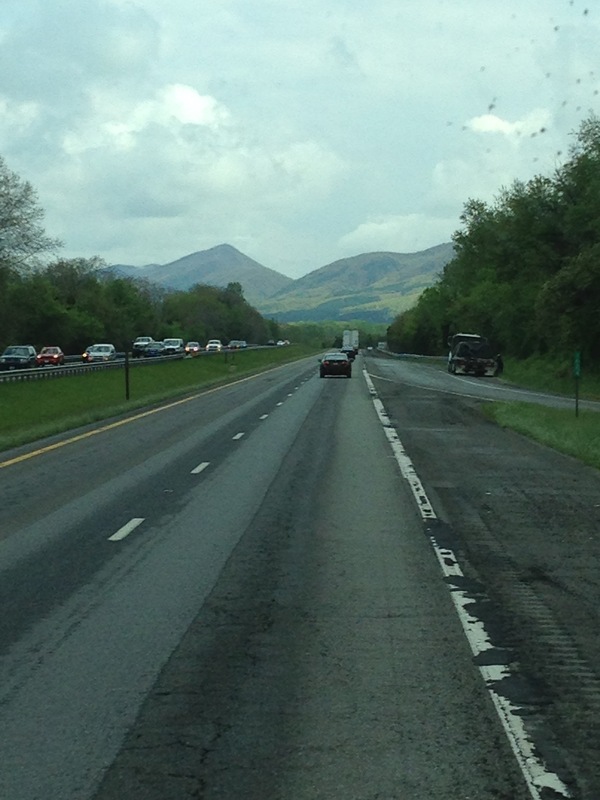 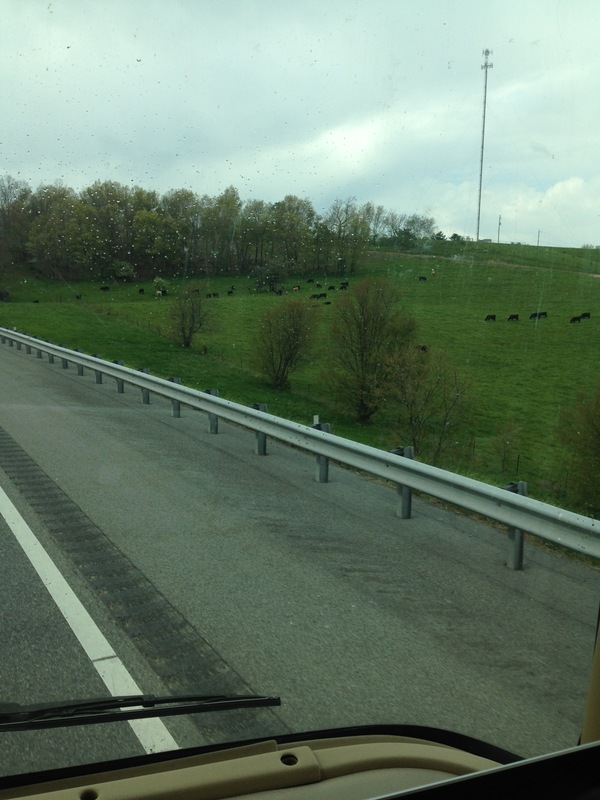 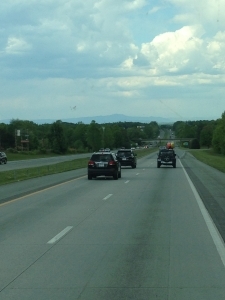 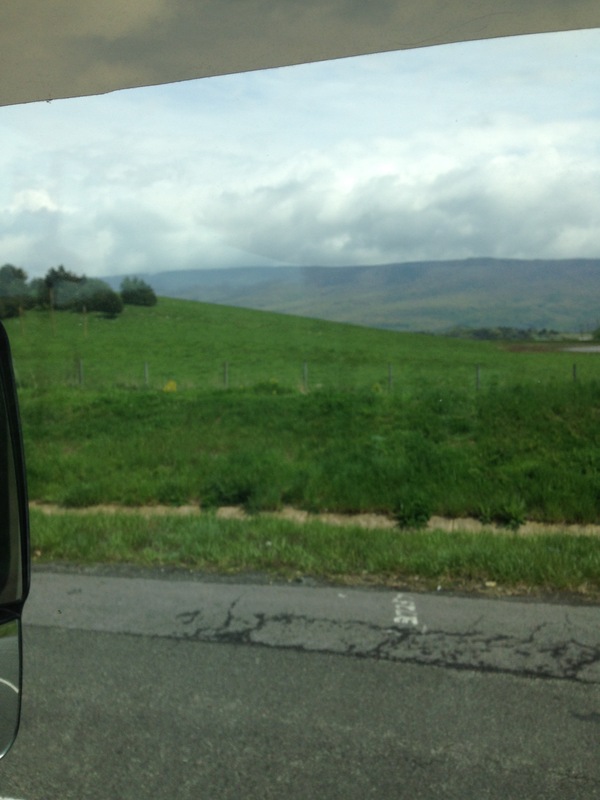 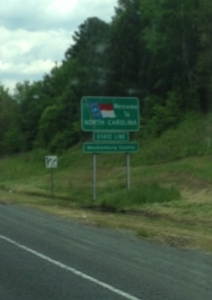 First North Carolina…..you can just start to see the mountains! 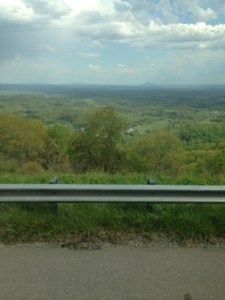 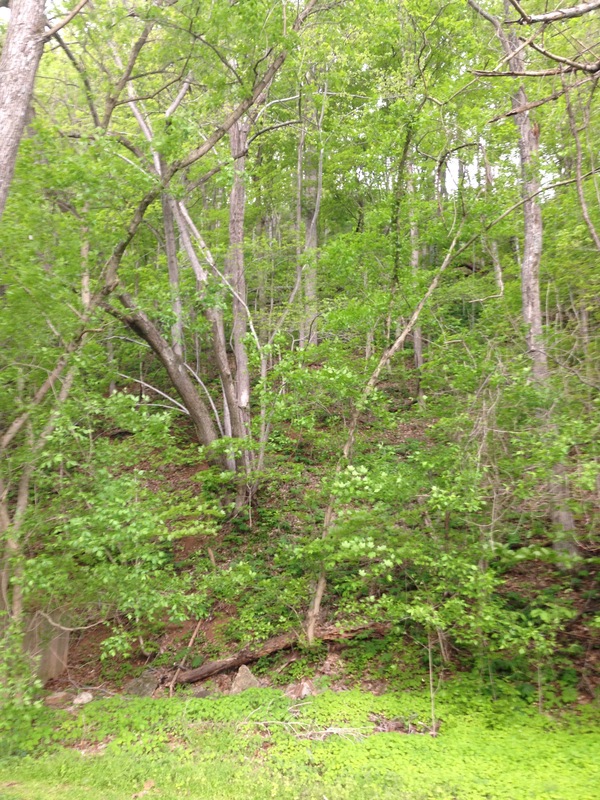 And then we were in the Virginia mountains! 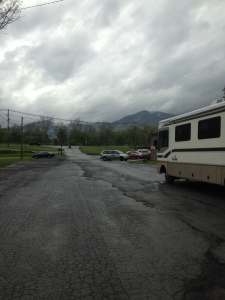 Our home for the next 2 months. But we were still about a day away so we had one more stop to make overnight. 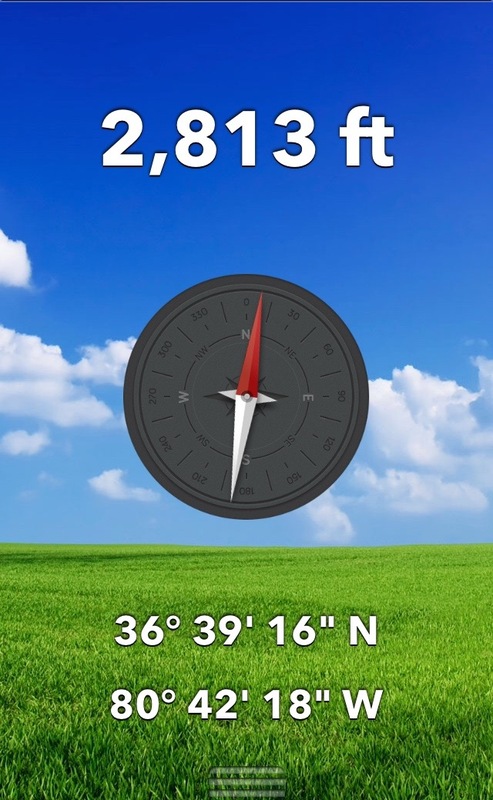 Our ears were popping like crazy so I downloaded an altitude app. 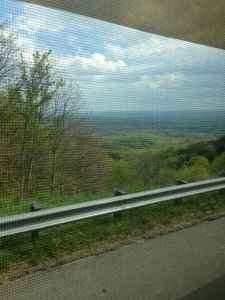 Pretty far up (for us). 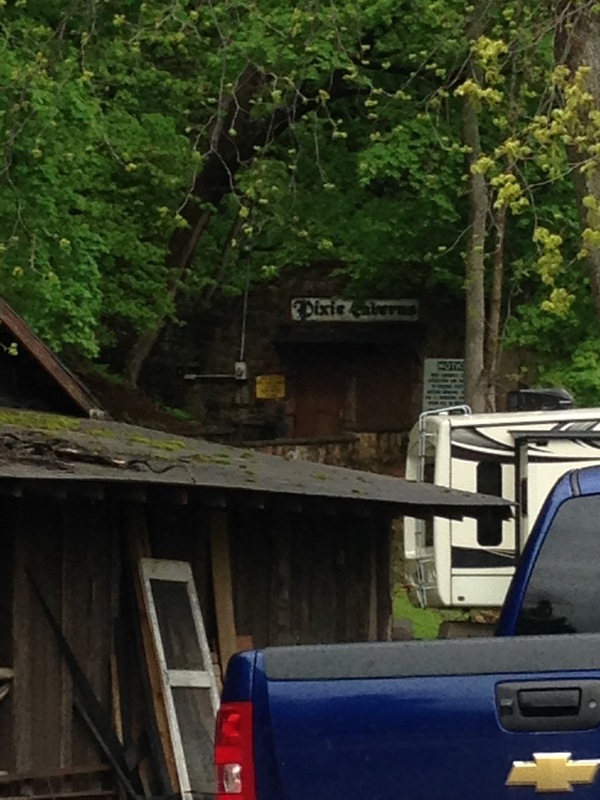 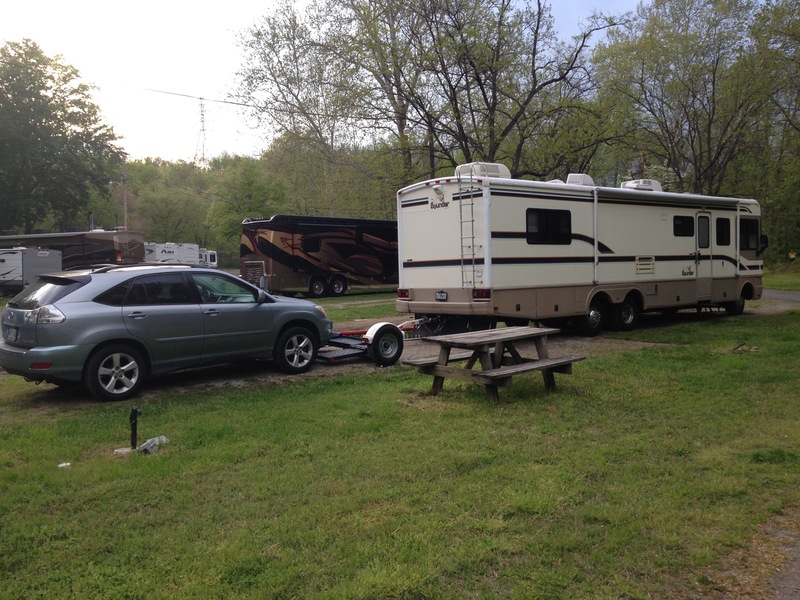 We stopped overnight at Dixie Caverns Campground. 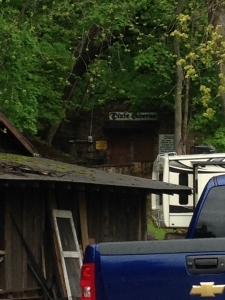 They have a small cavern tour there. 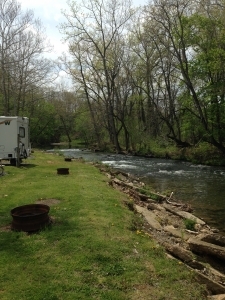 It seemed to be a very nice campground but we were in and out, anxious to get to Creekside Campground! The next morning we were up and off to Creekside Campground! 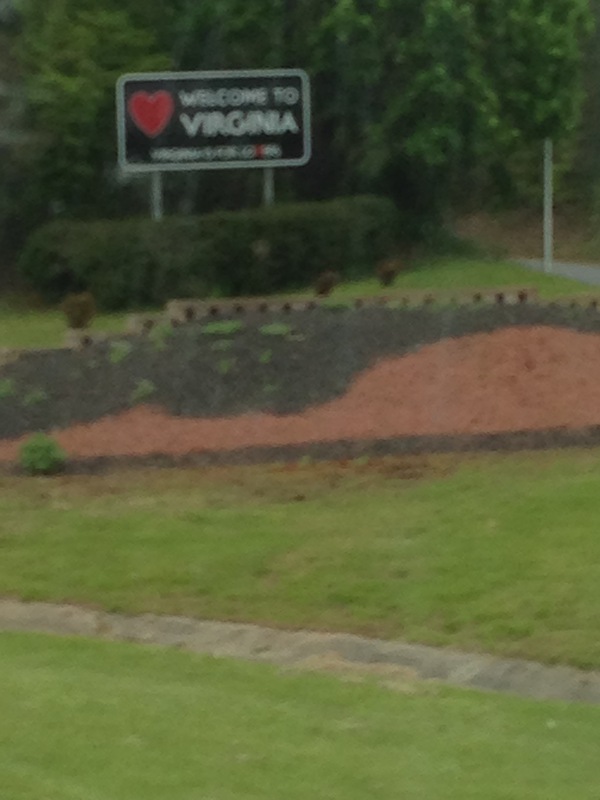 Getting very excited now! 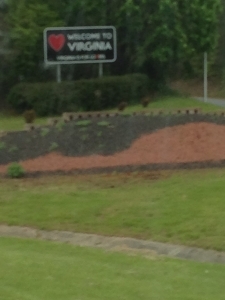 And we finally made it!!! 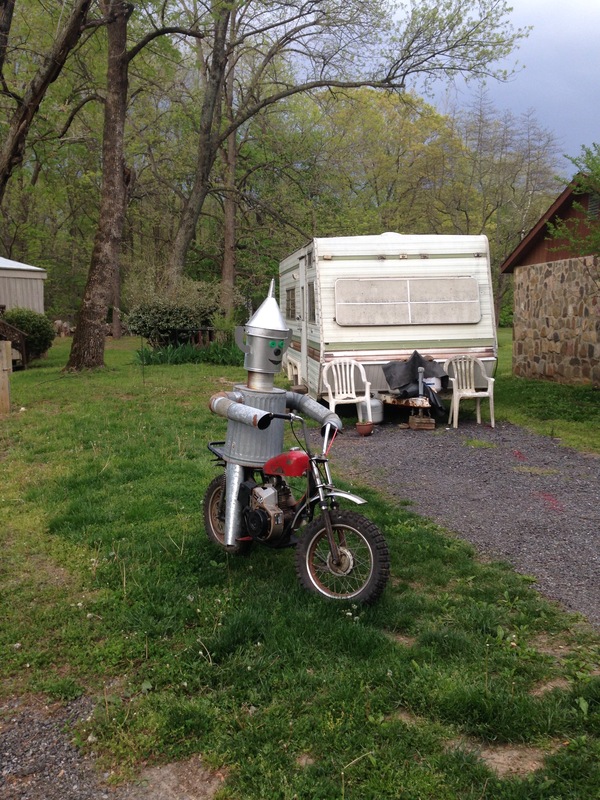 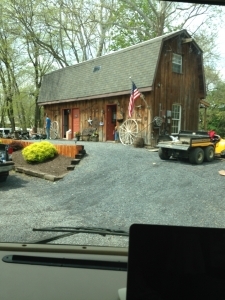 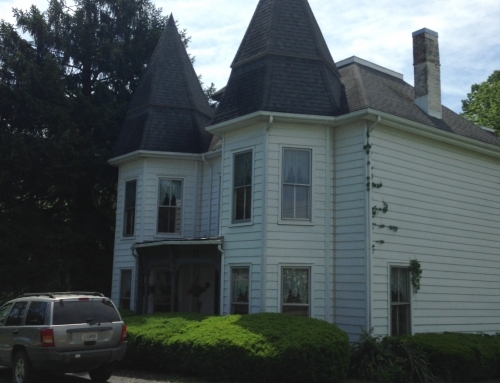 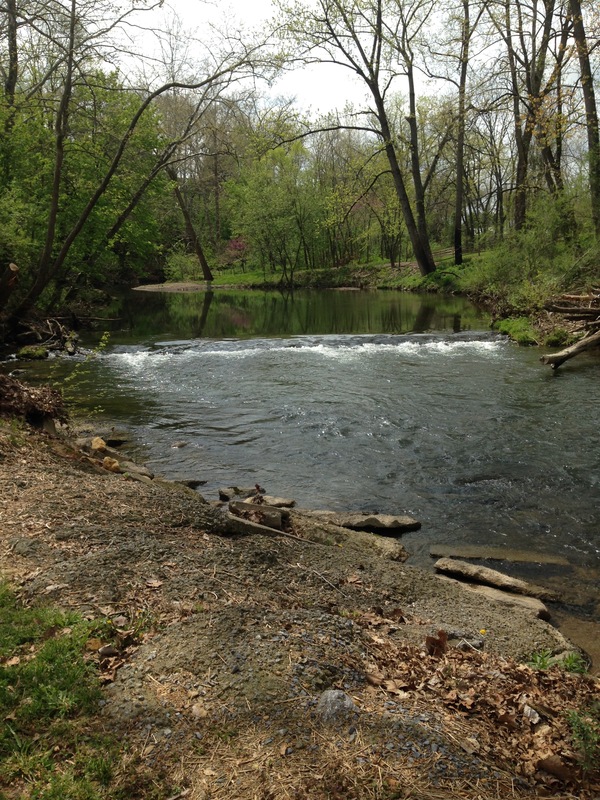 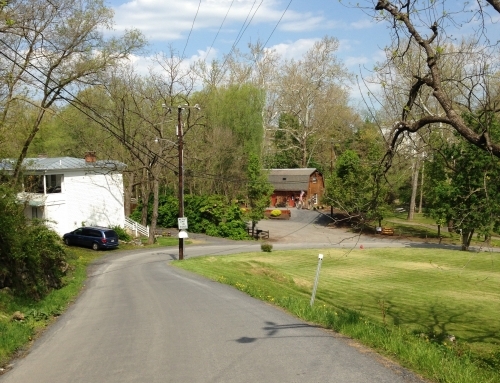 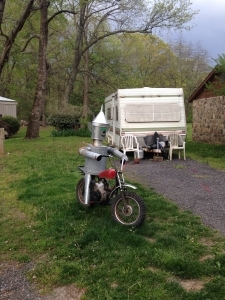 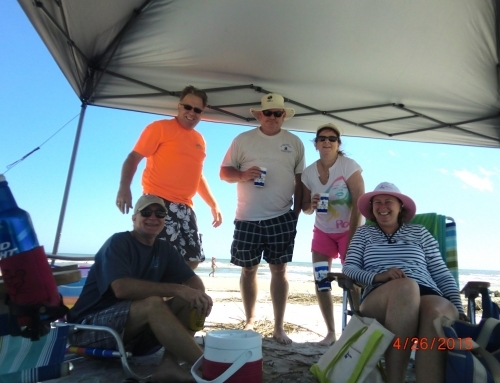 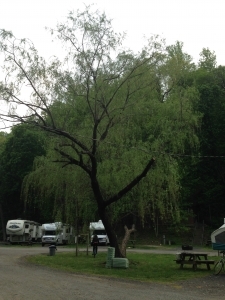 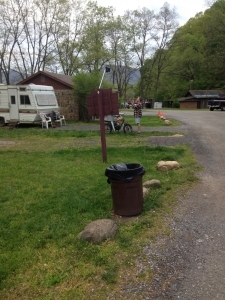 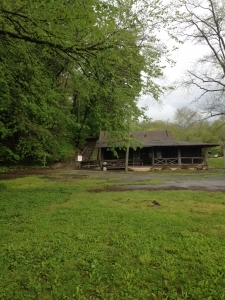 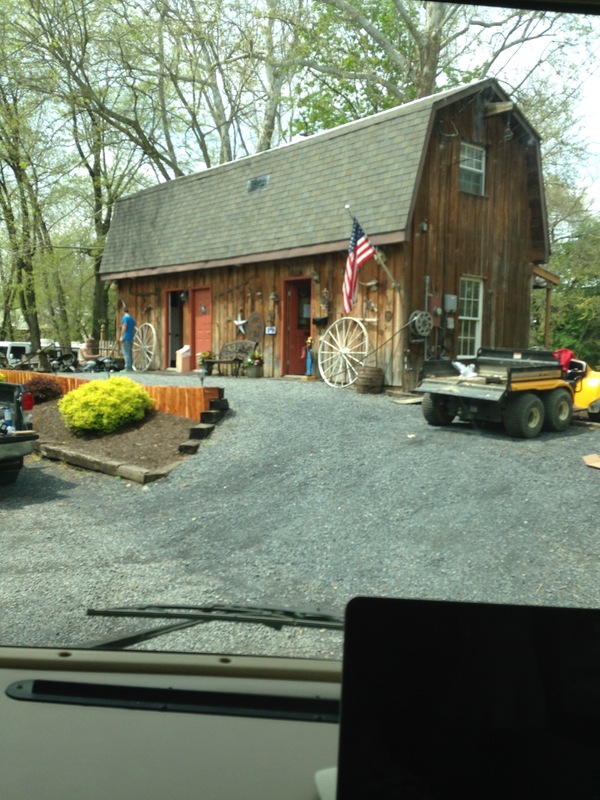 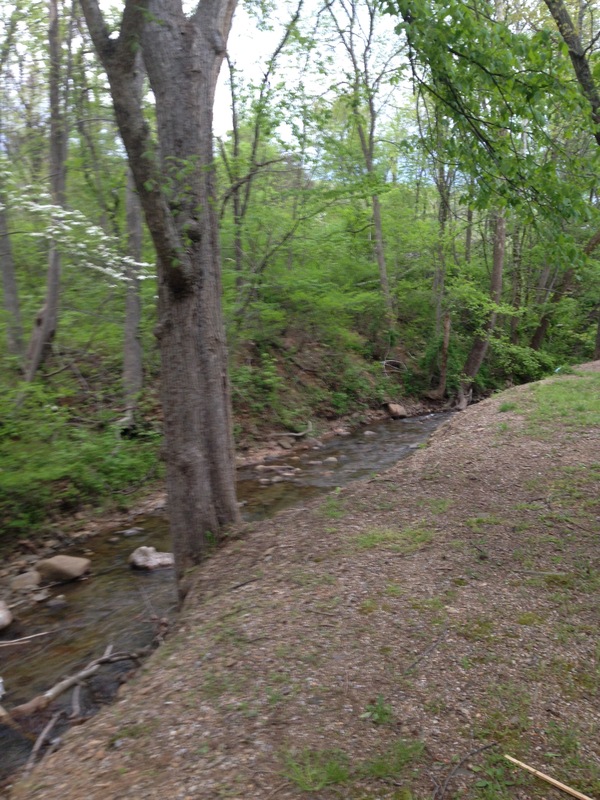 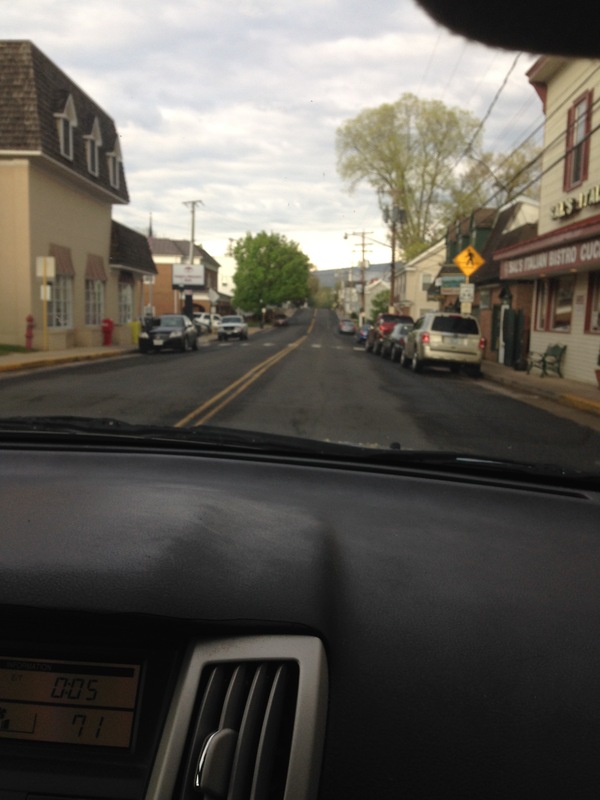 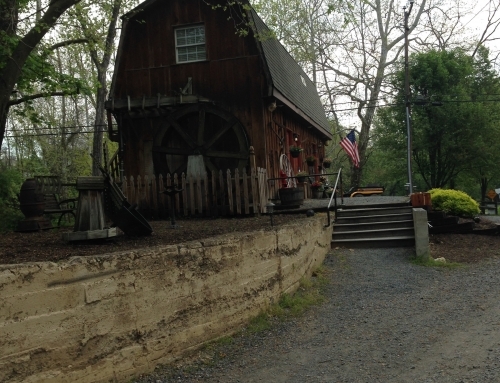 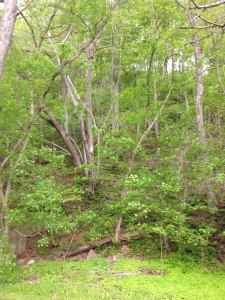 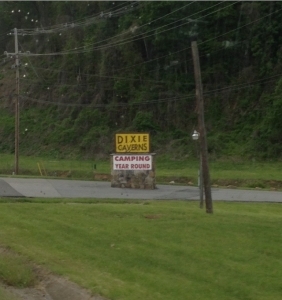 Edinburg, VA and Creekside Campground! 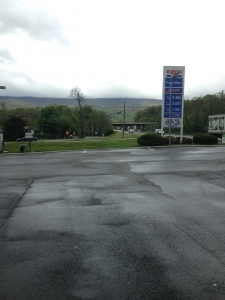 Very picturesque and quiet except on weekends. 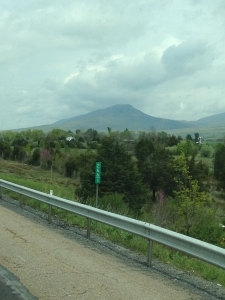 The next 2 months my blog will be about living (and working) here and the different places we go to and people we will hopefully get to see while we are here.